When the news broke earlier this year that Chinese state-owned steel and coal companies would be laying off anywhere between 1.8 to 6 million workers over the next two to three years, the government quickly moved to provide assurances that the socioeconomic fallout would be mitigated through 150 million yuan in assistance for the newly unemployed. On 15 April 2016, the Ministry of Human Resources and Social Security, along with six other national government agencies, jointly issued guidelines broadly outlining the ways in which the laid-off workers will be supported. While the guidelines do not provide details of how much funding will be allocated to the different types of assistance, or which agencies will be responsible for their implementation, the document does specify four key measures aimed at reducing the negative outcomes of the restructuring: career counselling and retraining for laid-off workers; the facilitation of early retirement for eligible individuals; information sharing across regions to facilitate the movement of workers to areas where they are needed; and support for laid-off workers who wish to engage in self-employment through entrepreneurial pursuits. The government’s strategy, therefore, can be seen as having two distinct objectives. The first seeks to streamline the current system of government employment through redistribution and retirement. The second is aimed at redefining what constitutes ‘normal’ employment in China through a re-orientation towards entrepreneurship and self-employment. The guidelines state that this second objective will be achieved through tax relief for new enterprises, and subsidised loans for the laid-off workers who initiate them. This column critically examines some of the implications that arise from replacing large-scale wage employment with credit to promote entrepreneurial activity. In particular, it shows that the promotion of micro-entrepreneurship as a ‘solution’ for mass layoffs shifts responsibility for livelihoods and welfare from the state to marginal individuals and groups, while, at the same time, reducing the capacity for collective action by organised labour. The column also questions—at a fundamental level—the ability of individual entrepreneurship to fill the gaping hole (in the economy and society) left by mass layoff events. This is not the first time that targeted credit for micro-entrepreneurship has been identified as a means of dealing with socioeconomic problems in contemporary China. In the 1980s and 1990s, various government ministries established or supported microcredit programs targeting poverty and ‘underdevelopment’ in rural areas. 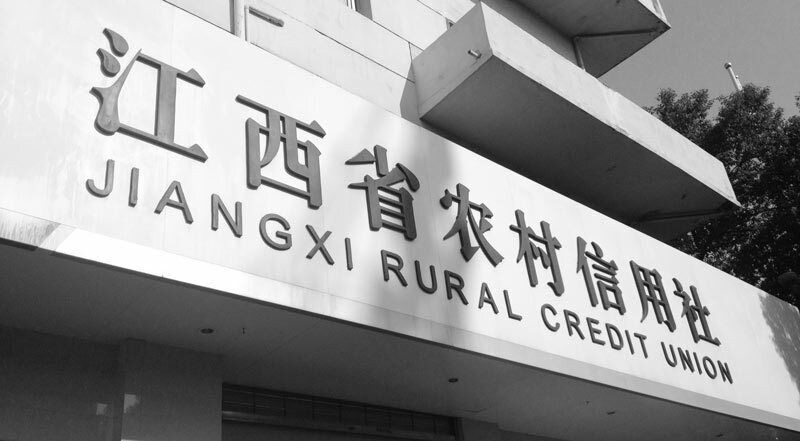 In the wake of the large-scale restructuring of state-owned enterprises (SOEs) in the late 1990s and early 2000s—which, according to some estimates, resulted in twenty-five to forty million workers being made redundant—the government established the ‘Employment Microcredit Program’ (xiagang shiye zaijiuye xiao’e danbao daikuan) in urban areas most affected by the retrenchment. The program provides small loans at zero percent interest in an effort to allow the newly unemployed to unleash their ‘natural’ entrepreneurial abilities and spark ‘bottom up’ employment opportunities. After being piloted for a few years, the Chinese government considered the Employment Microcredit Program to be a policy success and it was scaled up nationwide. Initially, microcredit was only available in cities to those who could provide formal documentation proving their laid-off worker status. This formal documentation was not always forthcoming, however, as navigating the bureaucracy often took certain types of knowledge and connections, and many SOEs did not even establish re-employment centres. In 2006, the program was extended to rural areas, with the target group being expanded to include migrant workers laid off from urban enterprises who wished to return to their rural origins to start businesses. Currently, the Ministry of Human Resources and Social Security administers the program. It recommends borrowers to local branches of state-owned banks and organises for the Ministry of Finance to pay the interest on the loans. In most localities loans of 100,000 yuan are provided to individuals for up to one year. Borrowers do not need collateral, but should instead have a ‘trustworthy’ guarantor. The Employment Microcredit Program is conceived of as reducing the negative impacts of retrenchment by creating an alternative to large-scale wage employment. This fundamental reshaping of how livelihoods are produced is one of the ideological goals of the microcredit movement. In the words of Muhammad Yunus, the founder of the Grameen Bank in Bangladesh and the most prominent advocate of microcredit globally: ‘One of the significant social impacts of the microcredit movement has been the realization that the key to alleviating poverty is often not the creation of ‘jobs’—that is, salaried work for large corporate employers—but rather the encouragement of self-employment for all individuals…’. In other words, the microcredit movement considers self-employment as a valid (and even superior) alternative to large-scale wage employment, and sees entrepreneurship as being a universal human quality that, if nurtured, has the potential to allow individuals to provide for themselves. Therefore, the promotion of microcredit as a response to layoffs should be understood as involving a transfer of responsibility for livelihoods and social welfare from the state to households and individuals. Indeed, for the majority of workers laid off in the 1990s and early 2000s, microcredit was offered as a replacement for the ‘iron rice bowl’ (tiefanwan)—i.e. stable life-long employment in a state ‘work unit’ (danwei) that included a salary and benefits. While most workers that will be affected by the impending retrenchment no longer enjoy ‘iron rice bowl’-style employment, they will, nevertheless, be saddled with the burden of seeking out entrepreneurial ways of earning a sufficient income for survival (and repaying their loans). And failure to successfully take on these new responsibilities comes with dire consequences. This rewriting of the social contract is not only significant because it represents an individualisation of responsibility, but also–and more crucially–because this responsibility is being devolved to individuals who are relatively marginal and lacking in resources, such as low-level SOE employees and migrant workers living from pay-check to pay-check. What does this rewriting of the social contract entail for labour relations in China? In addition to devolving responsibility from the state to individuals, the provision of microcredit in an attempt to foster entrepreneurship implicitly necessitates the fragmentation and atomisation of labour. While Ivan Franceschini’s contribution to this issue highlights the fact that many Chinese workers do not have a clear conception of what ‘collective rights’ or ‘collective action’ actually entail, the goal of microcredit to redefine ‘the household as a production unit and self employment as a natural way for people to make a living’  effectively renders these concepts meaningless. The industrial proletariat—with all their collective ambitions and grievances—are replaced by marginal (and indebted) micro-entrepreneurs struggling in competition with each other for their very survival. Ultimately, therefore, the provision of microcredit to laid-off workers is about more than simply unleashing pent-up entrepreneurial spirit and allowing people to provide for themselves. Rather, it is a key element in a wider project engaged in systemically transforming labour relations in China. After all, there is no solidarity between competing micro-entrepreneurs. Nor is any labour negotiation possible, as it is the intangible ‘invisible hand’ of the market that determines working conditions and remuneration for the self-employed entrepreneur. In this way, the shift from large-scale wage employment to a society of atomised micro-entrepreneurs is part of a strategy to deal with the spectre of organised labour unrest, which is one of the Chinese government’s major preoccupations. There are also other critical questions that need to be raised with regard to the fundamental ability of individual entrepreneurship (financed through microcredit) to fill the employment gap left by industrial retrenchment. For one, this strategy neglects the fact that, even in the best of cases, many entrepreneurial endeavours fail. In the case of the most recent round of layoffs, most of the newly unemployed micro-entrepreneurs will be from just two industries: steel and coal. Moreover, if past rounds of retrenchment are any indication, they will be comparatively less educated/skilled, approaching middle age, and predominantly female with a substantially higher load of family responsibilities. They will, therefore, primarily have the same skill sets and will probably engage in the same types of entrepreneurial activity. This suggests a sudden influx of certain kinds of business in a highly competitive and unforgiving market—i.e. a ‘race to the bottom’ undertaken by a new, and increasingly desperate, ‘micro-entrepreneurial class’ composed of the newly unemployed. While some will undoubtedly be successful, many others will fail and, as such, will be pushed further to the margins as they default on their debt and have no access to the livelihood resources previously provided by their employers. It is also important to point out an implicit paradox in how microcredit is envisaged as assisting the unemployed. On the one hand, microcredit programs are conceived of as promoting a type of ‘grassroots’ or ‘bottom-up’ development that is separate and autonomous from the wider structural contradictions in the economy that produced the unemployment in the first place. However, in order to achieve this development, the would-be entrepreneurial beneficiaries of microcredit must become incorporated into the ‘modern’ socioeconomic system through integration into the market where they will sell their wares or services. In other words, there is really no escape from the socioeconomic processes that put these microcredit borrowers out of work. Their entrepreneurial pursuits do not exist in some alternate dimension; instead, they are intricately linked to the dominant market-oriented system operating in contemporary China that has created the conditions requiring mass layoffs. For example, in one of the townships were I conducted fieldwork the local economy appeared to be thriving, with 122 small and medium businesses operating in the township centre. However, over thirty-one percent of these businesses were directly related to the housing construction industry, which relies on the sustained flow of remittances from migrant workers in urban areas back to the township to build new houses for their ‘left-behind’ family members. In short, this was no ‘grassroots’ economy, but was instead an economy fully dependent on the system of domestic migrant work—often through employment in the large urban SOEs now engaged in mass layoffs—for its continued existence. Ultimately, the issues raised in this short piece suggest that microcredit and the promotion of entrepreneurship for laid-off workers should be seen as an ideological re-orientation, rather than a ‘solution’ to the social and economic problems resulting from a sudden increase in unemployment. Restructuring SOEs and encouraging laid-off workers to become entrepreneurs through the provision of subsidised credit shifts responsibility for livelihoods and welfare from the employer (in this case the state) to the individual, while fragmenting labour relations and collective identity. Microcredit is also an objectively flawed response to retrenchment, as it is not possible for individual entrepreneurship to sufficiently meet the need for employment created by the mass layoffs. Instead, microcredit for entrepreneurship is a smokescreen that serves to temporarily obscure the fact that China is (and has been) undergoing a sustained social, cultural, and economic transformation that is fundamentally rewriting the social contract in order to devolve responsibility to the individual, while simultaneously eroding the possibility for individuals to contest these developments through solidarity and collective action. Similar observations have been made about microcredit in other contexts. See, for example, Milford Bateman, Why Doesn’t Microfinance Work? The Destructive Rise of Local Neoliberalism, London: Zed Books, 2010. Muhammad Yunus and Alan Jolis. Banker to the Poor: The Autobiography of Muhammad Yunus, Founder of the Grameen Bank, Oxford: Oxford University Press, 2001: p. 85. Photo Credits: A rural credit cooperative in a township where the author conducted fieldwork. 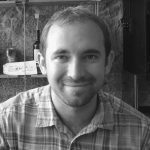 Nicholas Loubere is a Postdoctoral Fellow at the Australian Centre on China in the World, Australian National University. His research examines socioeconomic development in rural China, with a particular focus on microcredit and the rural financial system.